As I reflect on our experience in the CRWP Summer Institute, and prepare for a visit to the Boise State Writing Project this weekend, as well as the NWP Annual Meeting in just a few weeks, I am trying to capture some thinking about the core principles that I employ in planning PD experiences related to technology. I know that my colleagues at BSWP, as well as in other sites I have visited and continued to communicate with, are continuing to think about how, when, and why to integrate digital writing into their site’s work. So, I am offering some thoughts about what we have done in our first two years at CRWP, and how technology informs and is infused in our site’s work. By taking the intentional stance that we are and will continue to be a “digital writing project,” I know that there are certain benefits and constraints that this creates for us, and I will hope to address some of them here, too. the texts that are evident in the links here.) We also use Google Docs to create and share materials for our teaching demos, as well as creating our collaborative response to teaching demonstrations with our writing groups. In addition, we explored digital stories, Voice Thread, and podcasts, ultimately leading to the production of a print, audio, and video anthology of our work from the summer. From both our conversations with colleagues during the summer institute, as well as from comments that they made on evaluations at the end of the summer, we know that this stance of integrating technology as a core expectation of participation in CRWP is both a selling point for teachers as they consider participation, yet also generates much frustration in practice. At least two veteran teachers discussed their interest in joining CRWP because they knew it would push them to use technology, yet continued to share their frustrations with the pace at which we moved (I couldn’t even log into the wiki because I lost my password, I couldn’t access the Google Doc that we were all supposed to share…), yet with support from colleagues and our SI leaders, they were able to (eventually) get into the sites we were using. Everyone created a digital story this summer, and everyone submitted a digital portfolio. 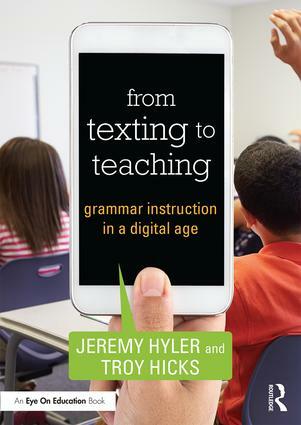 So, I continue to think that an immersive experience, one in which participants are expected to use technology and supported in that use through just-in-time instruction is a hallmark of a digital writing project. The expectation, for instance, that we would all use Google Docs to create collaborative responses to teaching demonstrations let to some unique discussions that were, initially, focused on how to use Google Docs, but eventually allowed us to use the technology transparently, and contributed to our experience in the response groups. That is, we were able to use Google Docs as a way to both focus our face-to-face conversation and allow everyone to contribute to the response, even though each group usually picked one “scribe” to be the main person responsible for each letter. On a less positive note, we did find that participants, over the course of the summer, were using technology more and more to facilitate their own distracted behavior. One day while I was gone, for instance, my co-leaders told me that people were essentially ignoring the presenting teacher and focusing only on their laptops and cell phones. This led me to have a brief, yet pointed discussion the next day with the group about laptop etiquette; while we were fortunate to be in a situation where we could all use laptops, we needed to think — both from the perspective of teacher and student — about the advantages and disadvantages of using laptops. As teachers, helping students know when and how to use the laptops for learning purposes is critical, as well as the idea that we sometimes need to have “lids down” moments where we focus on each other, not just on our screens. Still, having the expectation that we would all engage in experiences mediated by technology creates a different vibe in our SI. It means that we come to the institute with our own literacy and technology goals related to using the laptops for our own writing and for teaching writing. It means that we have the opportunity to connect and collaborate, and that those connections and collaborations are a core part of our lived experience as readers and writers in the institute. It also means that we make our work public, at least in the sense that everything we do is shared with at least our writing groups, sometimes the whole group, and sometimes the world. It makes the accountability for sharing a teaching demo and our own writing even more than it would be if it were only shared on paper, and that sense of audience and purpose, I feel, makes a huge difference in how our TCs see themselves as teachers and as writers. Last year, we were able to be involved in two professional development series. In the first, we were able to meet with teachers five times over the year, and in each session we introduced a new technology (wikis, wikis part 2, Google Docs, podcasting, digital stories). In the second, we worked with teachers in a variety of contexts, but in the last two sessions we were able to work with cross-content area teachers to develop wiki pages. In both of these series, we had some teachers who were highly engaged in the process, some who were engaged, yet timid, and some who didn’t really seem to be interested in the technologies we were discussing. This is a similar pattern for what I see in many PD sessions, and it makes me wonder what my/our responsibility is in offering background/context for why and how we should be using technology in the teaching of writing. While I have noted this before, and I do feel that the conversation about technology and teaching has, generally, moved from the “Why should we?” perspective to the “How should we?” one in the past few years, I am still reminded that not everyone shares my enthusiasm for technology and that we need to situate our stance about digital writing when doing PD, especially for the “non-voluntary” types of work that we often do in schools, where teachers may not have had a choice in participating due to district mandates and expectations. As I think about where we are at and where we are going to go next with our PD services, I am curious to learn more about how we can offer online and hybrid options to help teachers customize their own experience. While I know that this isn’t always possible, I am curious to see what we might be able to do to help teachers create and sustain their own personal learning networks within the context of a writing project. I am looking forward to what Sara, our tech liaison, and Rita, our PD coordinator, come up with in terms of how this might work with our current PD series and future advanced institutes. I don’t have all the answers, but I excited that we continue to explore the questions. While we hosted a few continuity events last year, this year we hope to do more. One way that we are trying to connect with our TCs is by sending out more messages through our listserv (a pretty standard practice from what I have heard from other sites), as well as to now connect via Facebook and Twitter. I am not exactly sure how much/well this strategy is working, although I can get stats from FB on who has looked at and joined our fan page, which is an interesting set of weekly stats. Of the events that we are planning, we do try to use technology as it seems appropriate. 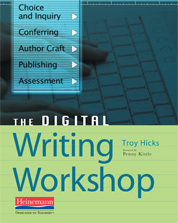 For instance, a few weeks ago, Erin led a book discussion on Penny Kittle’s Write Beside Them, and I was able to take notes on her computer as people shared their thoughts on the book and connections to their own teaching. Last week, Penny held her first Saturday seminar, and focused on digital storytelling. Over the course of the year, we hope to plan some other events that will engage our TCs and their colleagues in digital writing and distance learning, although we are still figuring out exactly how to do that. What this reminds me of is the fact that we can create opportunities through technology that allow TCs to connect when and how they are able. I am not sure what we will do in particular related to webinars or synchronous online conversations (either through chat or voice). I want to offer our TCs the chance to reconnect in whatever ways we can, but not dilute the experience of being connected. So, we need to continue to think carefully about when, how, and why we offer online continuity events in conjunction with our face-to-face offerings such as our 100 days celebration and book clubs. Just like we expect teachers to write, we can expect them to use technology. While we neither want to or are able to expect that teachers will use digital writing tools all the time (for instance, I still take my notebook on writing marathons), it is perfectly reasonable for us to expect that a teacher can bring his/her own laptop (or borrow one from school) when they come to writing project events. Put agendas up on a wiki or Google doc. Invite a backchannel conversations through TodaysMeet or other means. 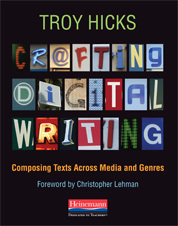 Ask people to compose digital texts. We know that this is important work, and we should expect our colleagues to come prepared to do it. When we make an expectation, we need to support it. Now that we expect teachers to come to the table with technology in hand, we need to offer them the time and support to learn how to use it. Create immersive experiences, yet continue to offer one-to-one support as teachers learn how to use it. 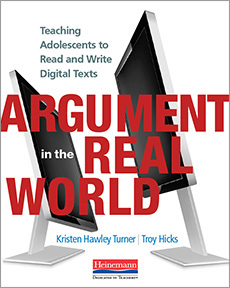 Connect experiences that they know (writing on a word processor) with pedagogical practices (how to revise effectively) and then make the leap to a new technology (online word processors) and another pedagogy (offering comments and feedback). It’s that idea of facilitating learning through a “to, with, and by” model. Finally, make the experience meaningful. Don’t just have people create a profile on a wiki and never look at it. If you ask them to post it, then you need to encourage others to respond to it, and offer response yourself. It’s this old idea of a tree falling in a forest… if no one is there to see the wiki post, does it matter? Show your colleagues that their writing matters, and encourage revision and response, across time, space, and contexts. 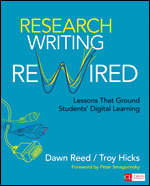 So, those are some current thoughts about teaching and learning in a digital writing project. 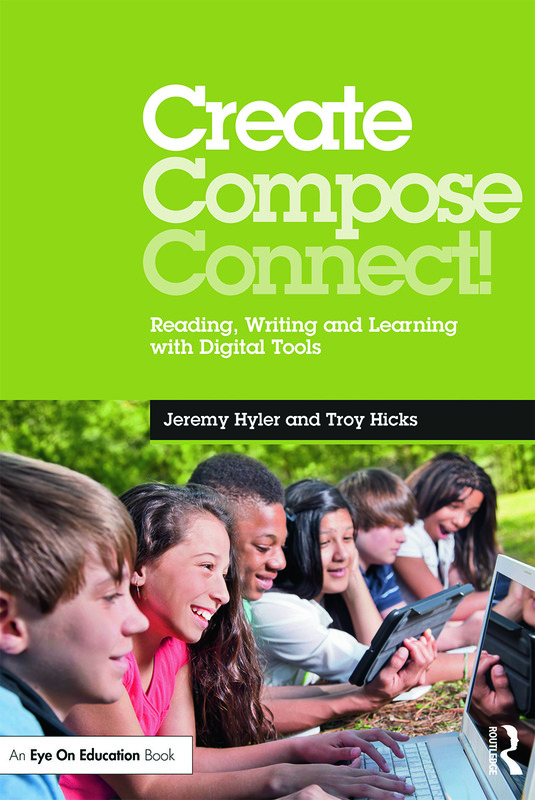 I hope that they help others writing project colleagues as they continue to think about what it means to integrate digital writing practices into both site work and their own teaching. I look forward to my conversations about this with colleagues this weekend, and in a few more weeks at the NWP annual meeting, and hope to hear ideas about how this work is happening for you, too.